Stable cottage was once, as the name implies, the stable for the farm at Glenquicken and is the latest addition to our accommodation. The cottage has breathtaking views across the Loch and onwards to the Machars peninsula. 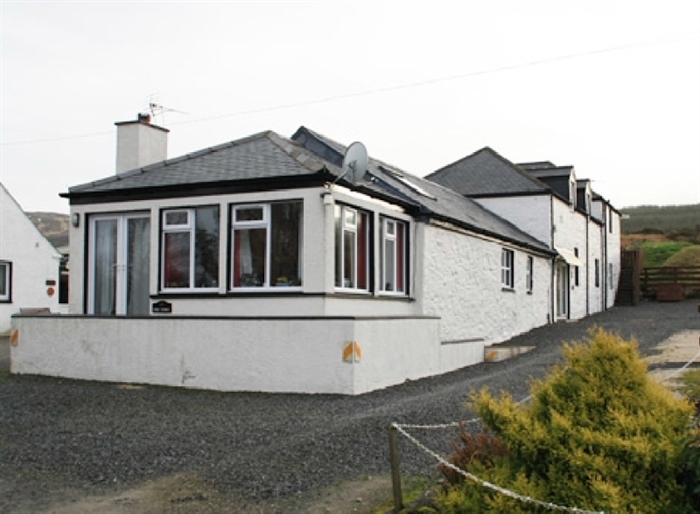 The cottage has been sympathetically renovated and extended using all modern building and insulation methods to incorporate a superb sunroom/lounge with breathtaking views across the Loch and onwards to the Machars peninsula. 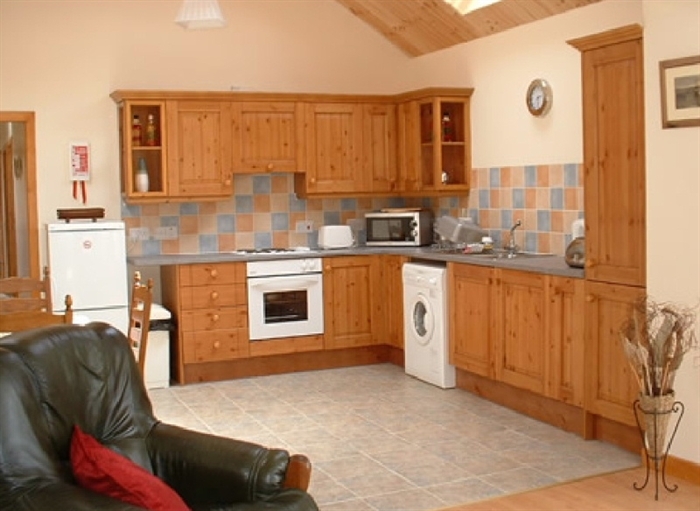 The kitchen has a raised solid wood roof with open pine beams giving a very light and airy feel to the most modern of kitchens, fully equipped with up-to-date appliances including full-size oven and hob, fridge freezer and automatic washing machine and dryer. A TV, DVD and CD player are also supplied in the lounge. The Stable has one very large double bedroom and a fully equipped bathroom with both bath and shower. The cottage is fully accessible even for the less able-bodied with a ramp installed to aid access. Full oil-fired central heating with electric back-up heaters if required ensures that your stay in the Stable will be comfortable as well as memorable. A full-size Z-bed can be made available for use in the lounge if three guests or even two children are present. Oil heating is supplied free, electricity is by £1 meter. 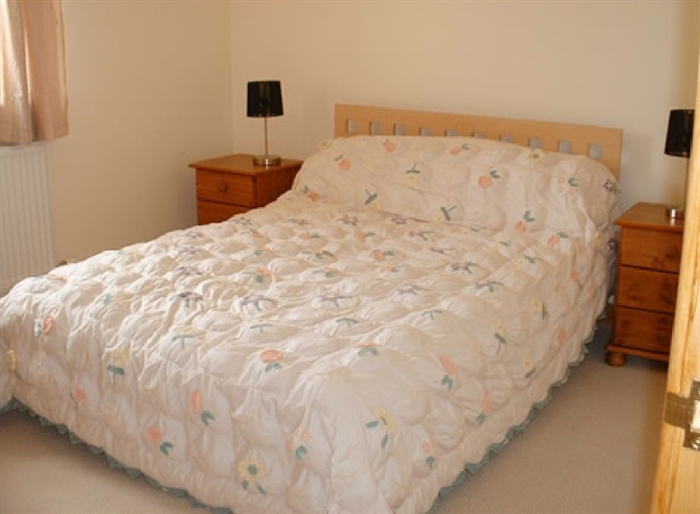 Bed linen is included in the rental while towels will be supplied to overseas visitors only. Pets are welcome by arrangement and a maximum of two house-trained, well-behaved dogs are allowed in the living area of the cottage with their own bedding (strictly not allowed in the bedrooms or on the furniture). Outside kennels are also available free of charge for all working dogs. As we are a working farm, dogs must be accompanied and kept under strict control or on a lead at all times.